On September 21, 2012, Linda was in New York City visiting her daughter. After finishing dinner with her daughter and other loved ones at Ulysses, they left the restaurant and began their walk home. 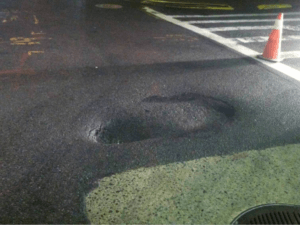 As she began crossing at the intersection of Stone Street and Broad Street, Linda tripped in a pothole causing her to “roll” her ankle and fall forward. She briefly lost consciousness (due to hitting her head on the pavement). Her daughter and other pedestrians came to her aid immediately. Linda was soon transported to the hospital by her loved ones. Linda complained of pain to her head and right ankle/foot/shin, so the hospital took x-rays and said that her ankle was just swollen and she had no broken bones. She received pain relievers and was released on crutches the same day. Since she felt worse the next day, Linda was transported by ambulance to Glen Cove Hospital. Further medical examinations and testing showed that Linda had torn ligaments in her right ankle. Due to her fall, Linda underwent 5 injections to help relieve pain in her right ankle. When conservative treatment failed to improve her condition, Linda underwent surgery to her right ankle. She also missed over 3 weeks of work. Thanks to Linda’s co-worker, she was referred to Adam Handler! The City of New York initially offered Linda $1,500 to settle her case and she decided to get a second opinion…so thankfully she called Adam Handler. After years of unacceptable offers, Adam Handler litigated the case up to jury selection. 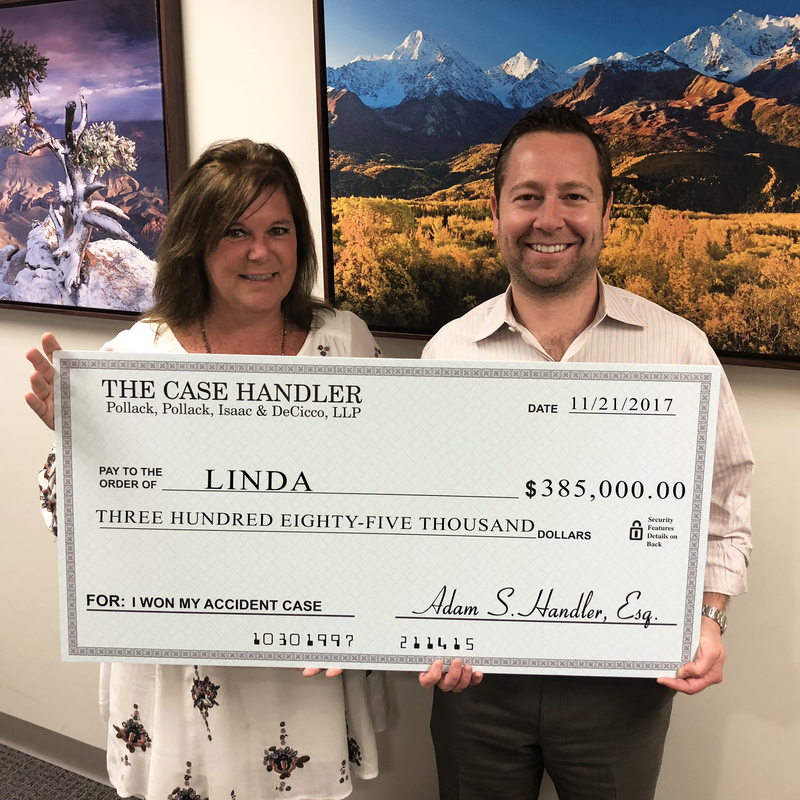 When, on the eve of trial, Adam Handler – The Case Handler successfully won $385,000.000 for Linda! Yes…that’s a 25,566% increase (you can check our math!!) in the City’s initial offer. Going up against New York City after being injured on the road is no easy undertaking. Far too many times injured victims accept money from the city since it appears to be a lot of money. 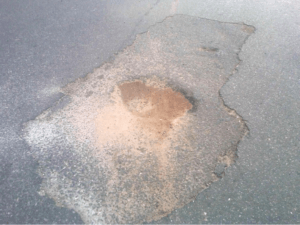 While it’s tempting to give in to money on the table, remember Linda’s story and get a second opinion from a reputable Manhattan trip and fall accident lawyer. When it comes to getting the best compensation for your case, Defendants want to pay you the least amount possible. Don’t deal with the big guys alone and contact The Case Handler team that will fight for you and do “a wonderful job” for you and your loved ones.